2013 saw a year with comparatively low rainfall that yielded a rich and robust crop. An early bud break and ideal bloom-time weather led to excellent vine and fruit growth in the spring, allowing for gradual, even ripening. Several trips through the vineyard were needed to thin the crop, bringing the fruit load to a level where optimal ripeness and flavor intensity could be achieved. There was only one heat spike, occurring in early July, but the vines and fruit were in good condition and suffered no harm. Harvest came early throughout much of the valley, and the J.J. Cohn Estate was no exception. 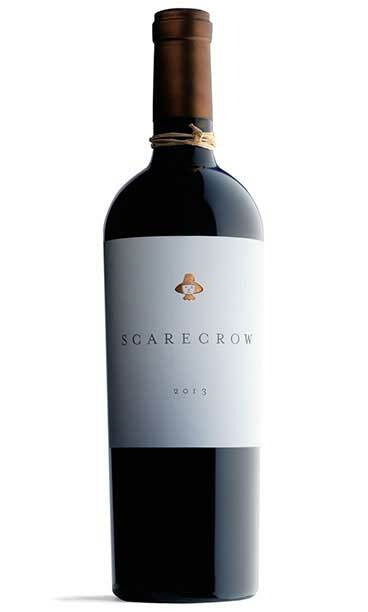 Once again the Scarecrow Cabernet Sauvignon has been woven from the most balanced and luscious of the vineyard blocks on the historic J.J. Cohn Estate. Abundant with aromas of ripe purple berries, raspberries rolled in dark cocoa, hints of tarragon, cedar and tobacco and undertones of caramel and white tea, this wine provides a structured yet velvety entry, a mid-palate bursting with fresh fruit flavors, and a finish which demonstrates both power and elegance. The 2013 Vintage is being hailed by winemakers as one of the most perfect seasons ever, and with good reason. The even-tempered growing season, combined with our third year of California drought, gave us grapes that were small in size but intensely flavorful. The fruit for this wine was harvested by hand in the cool dark of night hours between September 16 and October 9, 2013, then cluster-sorted, optically sorted, and gently transferred to a tank for four weeks of slow fermentation. After pressing, the wine was transferred to new French Oak barrels for 22 months of aging prior to bottling in late July 2015. The wine was not fined or filtered. A total of 1800 cases were bottled.